1:46am–#Bridgeport CT–Firefighters on scene at 79 University Avenue, South Hall 4th floor for smoke in the hallway. Who’s betting its burnt popcorn? 8:03pm–#Bridgeport CT– There is an active manhunt going on on Ogden/Sheriden /Barnum area. If you live in the area and see someone running in your backyard call 911 immediately. I don’t know what he is wanted for just that he is. 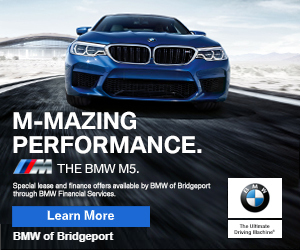 3:22pm–#Bridgeport CT–An elderly gentleman is ok and refused medial treatment after losing control of his car and crashing it into the porch at 156 Savoy Street. 3:17pm–#Bridgeport CT– Report of a car crashed into a house at 156 Savoy Street. The vehicle is reported to be smoking. 11:20pm–#Bridgeport CT–An Islandbrook resident has accidentally shot themselves and was driven by private vehicle to St. Vincent’s Hospital for treatment. 1:11am–#Bridgeport CT–Stratford Avenue continues to remain busy tonight, first a man was shot and now a car accident with injuries. EMS and firefighters on the way. Time to move? Contact Luis Martin. Check out this deal in Shelton. 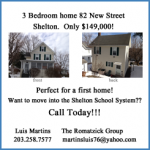 BONUS–Good schools in Shelton too! 10:47pm–#Bridgeport CT–Firefighters now on scene at 1816 North Avenue for a reported structure fire on the third floor. Firefighters on scene reporting nothing visible from the building. On arrival they discovered there was a small fire in the ceiling that is now out. The are further investigating.